Bugpellent Refill by Bugpellent at Animal Backgrounds. MPN: 468697REFILCS12. Hurry! Limited time offer. Offer valid only while supplies last. 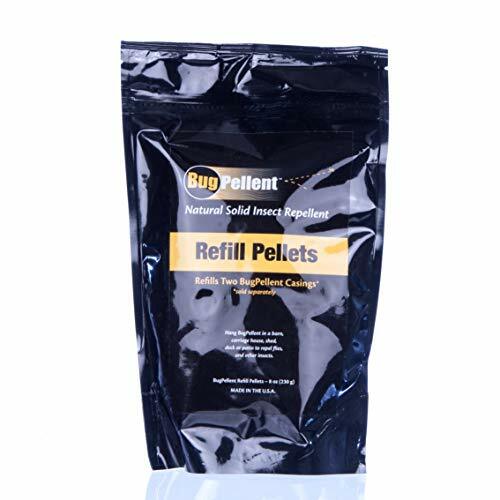 BugPellent Refills BugPellent, a natural, safe and continuous Insect Repellent that passively emits vapors which are safe for Humans and Animals. Hang BugPellent in a barn, carriage house, shed, deck or patio torepel flies and other insects. BugPellent does not require batteries or an electrical outlet. If you have any questions about this product by Bugpellent, contact us by completing and submitting the form below. If you are looking for a specif part number, please include it with your message.